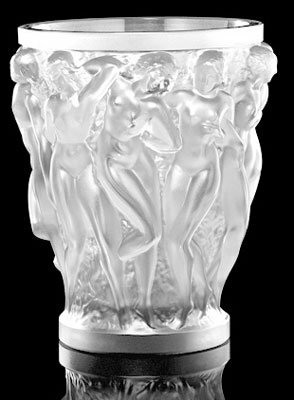 PARIS, March 18 2009 (AFP) – Staff learnt on Wednesday March 18 that the crystal glassworks Lalique, taken over a year ago by the Swiss group Art & Fragrance, is closing its site in Combs-la-Ville (Seine-et-Marne) and focusing on its activities in Wingen-Sur-Moder in the Rhine basin. When approached by AFP the head office was not willing to comment. According to two representatives from the staff, the site at Combs-la-Ville should be closed by the end of June or the beginning of July. Of the 38 people working there, 32 will be made redundant. Furthermore, the same source claims that 18 jobs are being cut at the company’s Parisian base. By closing the site Lalique is continuing to implement its ‘growth plan’, which maps out a €12 million investment by 2012, modernisation of production and logistics and establishing partnerships with, for example, estate agents or hotels. “The closure of the site at Combs-de-Ville had been mentioned in the takeover bid, but it was on the horizon, in 2011/2012; the directors have said that they must speed up the plan because of the economic crisis”, declared a staff member who wished to remain anonymous. Combs-la-Ville consists of workshops for creating decorative objects (ceiling lights, mirrors, fountains, tables etc;) and was responsible for logistics. If Combs-la-Ville is paying the price for this reorganisation – even though during the takeover the President-Director General Silvio Denz was issuing assurances they did not want to reduce the workforce – the site at Winge-sur-Morder will be reinforced. The only production site for Lalique with 260 employees, Wingen-sur-Moder should be receiving a new tank furnace which will improve production.